After I ran my first marathon last June, I had thought about getting a tattoo… a tiny palm tree on my foot (in honor of San Diego, where the marathon was run) with a 26.2 on it. Instead, I finally decided to get the car sticker. Way more commitment than a tattoo, right? In other seriously scary news, I heard the words “Someday I might do another marathon” come out of my mouth the other day. Yikes. I must be crazy! Oh Lord, I hope not! 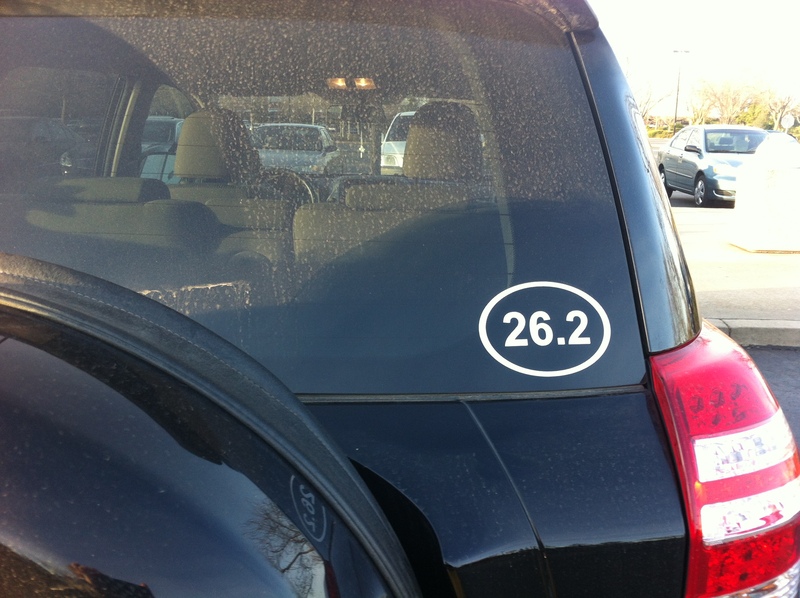 My husband is a 2x Ironman, so I’m hoping that 26.2 is the longest distance I do! I’m on a journey to complete a 70.3, 140.3, 50 mile, and 100 mile race by the time I finish college! 🙂 We’ll see how it ends up!